AD Refresh Rate is very important of being slow and high revenue share because if you use the slowest refresh rate (e.g. 120s) IT helps to increase the eCPM but the number of impressions is so much reduced that it counterbalances the effects of a higher eCPM. Refresh rates are how often a new ad is loaded. 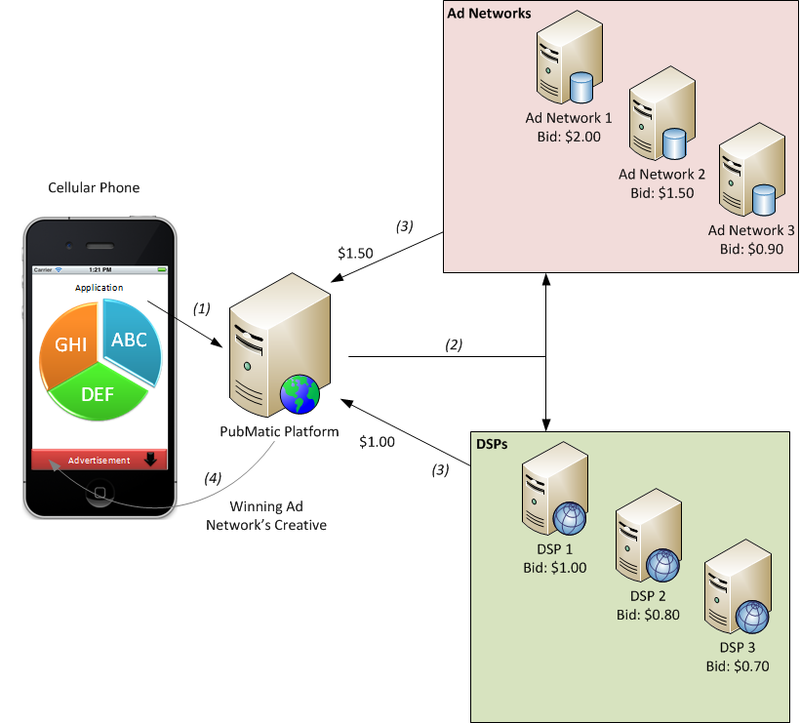 Many mobile ad networks has a refresh rate of 30 seconds, 15 seconds and 29 seconds, including Admob and AdWhirl. Thus, a two minute session on a mobile application will generate four impressions?. However for Apple iAD the refresh rate is reaching up to three minutes, which would result in only one impression within a two minute session. Moreover, some ad services will create a new impression for every page view on a mobile website. When forecasting your impressions you need to know the ad refresh rate, the average duration of an app session per user, and if page views and/or duration are used to create impressions. You also need to determine which refresh rate will create the most click-through rates for your ads. 60s refresh rate is violating the rule of Google Adsense. you violate the rules, if you does, they may deduct part or all of your earned money. However At the end, Despite having a higher CTR and a higher eCPM, the revenue was lower than the first period of time, The supporting argument for publishers auto-refreshing their webpage is simple: An increased refresh rate leads to more ad impressions which leads to more revenue. In these cases the application can be present on the user's browser for considerable time, and could infact be viewed, creating a valid opportunity for ad-serving without a natural counting event-trigger. In these cases disclosure and counting must abide by the auto-refresh guidelines of the current IAB Ad Impression Measurement Guidelines. User-set refresh rates count as implemented. Site-set refresh rates are assessed for reasonableness based on the refresh rate and the nature of the content being refreshed. Ads served through site-set auto-refresh are reviewed for materiality relative to user-initiated ad-served, and if material, site-set auto-refresh counts are disaggregated and described separately. The organization using the Rich Internet Application, generally the publisher, may have the ability to determine whether the RIA is "in-focus" at the time of the ad count. If the "in-focus" status is known, counts may be differentiated and labeled "in-focus". a fresh ad is available. What is Ad Refresh Rate? The refresh rate determines how often a new ad impression is generated. You can choose not to refresh ads or to refresh every 30 to 120 seconds. We recommended that you have ads persist for 60 seconds or longer, depending on the functionality of your application. Our internal tests have shown that this ensures users have enough time to engage with ads, providing the best performance for both advertisers and publishers. Furthermore, these tests have shown that refreshing ads more often can hurt fill rate for our publishers. If your app is automatically refreshing ads, make sure ad requests are not made when the screen is off. Also, if users navigate to and from pages with ads in an application over a short period of time, a new ad request should not be made sooner than the recommended 60 second rate. Only thing you can do is speculative as you wont know what ad the user sees thus not know what if any revenue will be generated. You could store the number of ads user clicks sure but you wont know if that click generated revenue. I would work on the basis to assume 1 out of every 20 clicks makes me 5c. Could be more could be less, if that is enough to cover your costs then ok. You wont know though until you release the app and see. Display Ads Refresh Rate 15 seconds. A 60 second minimum on all page refreshes. Anything under 60 seconds will be considered a direct policy violation. All AdX units that auto-refresh must be labeled as such when they are created within the AdX user interface. If they are already running they must be amended within the UI to reflect auto-refreshing. On the sell side, Google will offer their exchange partners the ability to opt-out of all web pages that employ auto-refresh. The default option will be preset to opt-out. Auto-refresh policy violations such as a refresh timer set under the 60 second minimum will be treated as fraudulent and will carry similar penalties to adult, warez and spam content. Auto-refresh impressions will carry a 75/25 revenue share vs. standard impressions which are 80/20 to account for ad serving fees.